DEER VALLEY RESORT, PARK CITY, UTAH (August 16, 2018) – Bob Wheaton, Deer Valley’s President and Chief Operating Officer, will be transitioning away from the position after more than 45 years in the ski industry and almost 38 years at the resort. Wheaton will move to an advisory role at Alterra Mountain Company in January 2019 where he will help guide the vision and future of the company. Stepping into the leadership role at the destination is Todd Shallan. Shallan has as 35-year track record in the resort, hospitality and recreation industries. Todd is currently the Chief Operating Officer at iFly Indoor Skydiving in Austin, TX and was previously the Director of Asset Management for KSL Capital Partners in London. Prior to that, he was Vice President and General Manager at Hotel Del Coronado & Beach Village at the DEL in Coronado, CA. Other properties in which Shallan has held leadership roles include; Claremont Resort and Spa in Berkeley, CA; Arizona Biltmore Resort & Spa in Phoenix and Boca Raton Resort & Club in Florida. He began his career in hospitality with Westin Hotels and the Ritz-Carlton Hotel Company after graduating with a B.S. in Hotel Adminstration from Cornell University. Shallan will begin at Deer Valley on September 24, 2018 and work alongside Wheaton through the end of the year. “There are a handful of ski veterans and true pioneers who have contributed greatly to our industry, and we have been fortunate enough to have worked with one of them since the starting months of Alterra Mountain Company. Deer Valley’s Bob Wheaton is one of those people, and today we announce his transition from Deer Valley President and Chief Operating Officer to Senior Strategic Advisor for Alterra Mountain Company “ said David Perry, President and Chief Operating Officer of Alterra Mountain Company. Wheaton has been a part of Deer Valley from the beginning and has held a variety of positions. He was appointed General Manager in 1988, Vice President of Operations in 1989 and President in 1997. In 2015, Wheaton successfully led the negotiations and purchase of Solitude Mountain Resort by Deer Valley Resort Company, acting as their President until October of 2017 when Deer Valley was acquired by Alterra Mountain Company. Alterra Mountain Company purchased Solitude Mountain Resort in July of 2018. In addition to his responsibilities at the resorts, Wheaton has been very active in community organizations during his tenure. He was a past member and president of the Board of Directors for the Park City Chamber and Visitor’s Bureau, as well as president of the Intermountain Ski Areas Association Board of Directors. He was a two-time past president of the Utah Ski Association and has served on the Board of Governors for the Salt Lake Area Chamber of Commerce and the Utah Symphony and Opera. Bob received the Outstanding Contribution Award from the Intermountain Ski Areas Association and was awarded Park City Rotary Club’s Professional Citizen of the Year. In 2011, Bob was inducted into the Utah Tourism Hall of Fame. Deer Valley was a venue site for the 2002 Winter Olympic Games, in which Wheaton worked closely with the Salt Lake Organizing Committee to ensure all facets of the events were carried out with the highest standards. Wheaton now serves on the Olympic Legacy Board and has been instrumental in Deer Valley’s reputation as a mecca for Freestyle skiing by hosting over 20 Freestyle Ski World Cups and three World Championships. 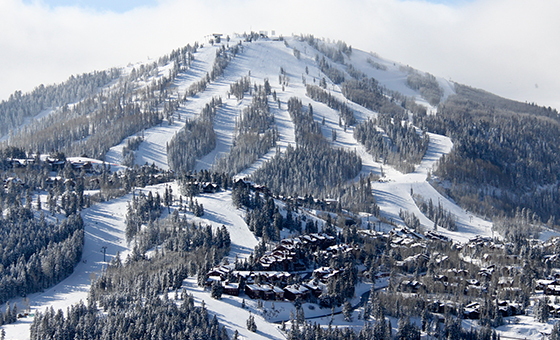 Under Wheaton’s leadership, Deer Valley not only earned a spot in the top three ski resorts in North America as voted by the readers of SKI Magazine for 20 consecutive years, the resort was also voted the #1 overall resort an unprecedented eight times. Originally from Michigan, Wheaton is a graduate of Macomb College and has been a certified ski instructor since 1976. He currently resides just outside of Park City in Woodland, Utah with his wife Marion. A headshot of Bob Wheaton and Todd Shallan are available for download here. For more information, please contact Senior Communications Manager for Deer Valley Resort, Emily Summers at 435-645-6522 or emily@deervalley.com or Director of Public Relations for Alterra Mountain Company, Kristin Rust at 303-801-7271 or krust@alterramtnco.com. Alterra Mountain Company is a family of 13 iconic year-round destinations, including the world’s largest heli-ski operation, offering the Ikon Pass, the new standard in season passes. The company owns and operates a range of recreation, hospitality, real-estate development, food and beverage and retail businesses. Headquartered in Denver, Colorado with destinations across the continent, we are rooted in the spirit of the mountains and united by a passion for outdoor adventure. Alterra Mountain Company’s family of diverse playgrounds spans five U.S. states and three Canadian provinces: Steamboat and Winter Park Resort in Colorado; Squaw Valley Alpine Meadows, Mammoth Mountain, June Mountain and Big Bear Mountain Resort in California; Stratton in Vermont; Snowshoe in West Virginia; Tremblant in Quebec, Blue Mountain in Ontario; Deer Valley and Solitude in Utah; and CMH Heli-Skiing & Summer Adventures in British Columbia. We honor each destination’s unique character and authenticity and celebrate the legendary adventures and enduring memories they bring to everyone. Alterra Mountain Company also owns Honua Kai Resort and Spa in Hawaii. For more information visit alterramtnco.com.